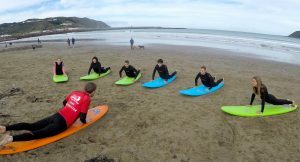 Wellington Surf Lessons offers a range of surf safety, surf education and surfboard riding programs all year round for students. All programs are tailored for the school and age of the participants. During our lessons we strongly emphaises the importance of beach safety and teach the dangers of the ocean, rips, currents, tides and surf related skills. All our instructors have trained with Surfing New Zealand (SNZ) which courses are accredited by the International Surfing Association (ISA) and recognised throughout the world. We also have a qualified life guard to assist in larger groups. We teach at Lyall Bay, Titahi Bay, Otaki Beach and Castle Point. These beaches were chosen by Wellington Surf Lessons as they are the safest locations for surfing in the Wellington and Kapiti area, with Surf Life Saving Clubs directly in front of where we run the surf lessons. Classes can range from 2 hour lessons or a one day course. We also have 1 hour courses for schools looking to book their students in weekly. Term bookings are usually one hour classes for an 8 – 10 week course. We teach the dangers of the ocean, rips, currents, tides and surf related skills. All surfing equipment such as boards, rash vests and wetsuits (if needed) are provided. 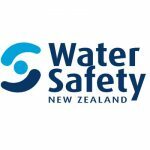 Water Safe NZ urges Schools to take proper responsibility for their kids when in the water. New Zealand has one of the highest fatal drowning rates in the OECD. Schools that allow students to surf with out the correct guidance of a qualified instructor, will be exposing their students to a high level risk of injury and is not advised. If a student is knocked out by a surf board and their is no instructor or life guard in the water assisting, they could easily drown. It is vitally important that all students are taught how to manage their own surfboard correctly, know how to protect them selves from injury and have a good understanding of beach safety before entering the water. "On behalf of Kapiti College, we would like to thank the team at Wellington Surf Lessons for giving our college kids an amazing surf experience over the last three days. Everyone enjoyed the lessons immensely and we were amazed to see every student successfully surfing within the first day. They captured some great photos on GoPro and also gave out some very nice looking certificates at the end to the event. I highly recommend you book your school with Wellington Surf Lessons". All our instructors have trained with Surfing New Zealand (SNZ) which courses are accredited by the International Surfing Association (ISA) and recognised throughout the world. They all have a Community Surfing Instructors Lifesaving Award and a certificate in First Aid. For larger groups we often have a qualified life guard available to assist during the surf sessions. Please send an email request to [email protected] with the dates, times, numbers and location of your booking. We also require a mobile number of the booking teacher to complete the booking. Wet Weather Conditions in the rain can often be great for beginners, we therefore do not cancel lessons if it is raining. We will cancel if conditions are unsafe. Conditions on the Day Conditions can vary daily so Wellington School works closely with Lifeguards on the beach to discuss conditions for each day. If conditions are unsafe or the beaches are closed, Wellington Surf School will contact the booking teacher via mobile to advise of a location change or cancellation. This may happen in the morning of your lesson, so please keep your mobile phones handy to ensure you receive the message. Please note, lifeguards start and open the beaches at 9am. Wellington Surf Lessons will therefore contact you shortly after that time with an update on conditions. If you have not heard from us, please proceed to your booking location. Cancellation Policy Please note that for admin purposes, we kindly request that any amendments or cancellations be made via email request with at least 24 - 48 hours notice prior to the booking date. Any amendments or cancellations made on the day of or after the booking date may incur a charge.